Are particular economic policies responsible for human rights abuses? Do governments have legal obligations to pursue economic policies that protect human rights? Should economic success be measured via human rights rather than mere growth? Leoni Linek reviews an important new volume on the subject. Flip through the average newspaper on any day of the week and you will find a story related to human rights issues. It will tell you of the likes of Muammar Gaddafi or Bashar al-Assad or, even better (because less ‘civilised’), a rebel leader like Thomas Lubanga or Joseph Kony. Of course, the story won’t fail to contrast him with the image of an oppressed, impoverished and powerless population of a Third World country. And sometimes the portrayal of perpetrator and victims also features a saviour: the UN, the NATO or the International Criminal Court (ICC). The story will then go on to vividly describe some of the atrocious crimes these men are responsible for: murder, torture and human trafficking are especially popular. They violate the right to life, liberty and security, the right not to be held in slavery and the right not to be subject to torture. If possible, the piece will illustrate this with a heartbreaking story of a little girl, complement it with a colourful picture and finally point to failed negotiations and sanctions in order to conclude that – given the international community’s responsibility to protect innocent civilians – Western governments need to ‘do something about it’ and ‘take further action’. This is the story many have in mind when thinking about human rights. It is also the reason that many, particularly on the left, reject human rights as merely a tool for justifying military intervention. But perhaps there is an alternative, richer picture of human rights than the one we observe when they are employed in the interest of power. Have you ever wondered whether your own government is violating your human rights? How often have you read about the US violating the right to health or failing to comply with its obligation to provide a minimum level of food consumption? Have you heard that Mexico’s lax fiscal policies, allowing for significant tax evasion and avoidance, might be in violation of the government’s obligation to use the maximum available resources to progressively realise the right to work and the right to just and favourable work conditions? These are examples of the human rights abuses a dozen authors tell of in “Economic Policy and Human Rights”: violations of economic and social rights, committed not by evil warlords and dictators, but by policy-makers in Western democracies. Radhika Balakrishnan and Diane Elson, the editors of the collection, bring together progressive economists and human rights advocates who express their common concern for social justice in a series of comparative case studies, examining economic policies in the USA and Mexico in terms of their compliance with human rights obligations. The book is organised around five macroeconomic policy instruments: fiscal and monetary policy, public expenditure, taxation, trade policy, and pension reforms, with a chapter for each instrument and country. In the introduction, the editors clarify the human rights obligations under consideration. A reminder of the economic and social rights contained in the Universal Declaration of Human Rights (UDHR) – the right to work, the right to rest and leisure, the right to an adequate standard of living, and the right to education – is followed by a brief overview of the agreements that succeeded the UDHR. These treaties – the Convention on the Elimination of All Forms of Racial Discrimination (CERD), the International Covenant on Civil and Political Rights (ICCPR), the International Covent on Economic, Social and Cultural Rights (ICESCR) as well as the Convention on the Elimination of All Forms of Discrimination Against Women (CEDAW) – impose further obligations on governments to realise human rights, in addition to those of the UDHR. 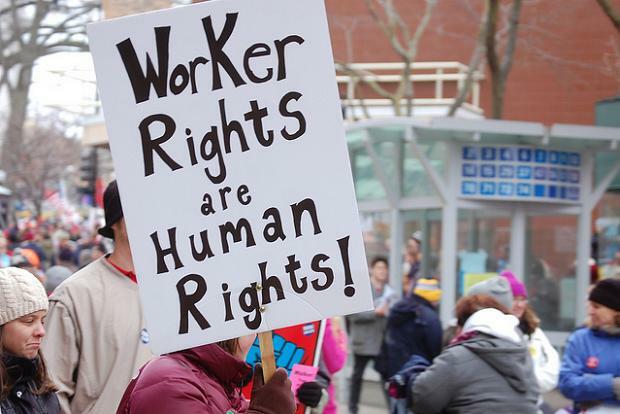 Although the USA, unlike Mexico, has only ratified the first two, it is still legally bound to respect those economic and social rights that are part of customary law. The key principles of the treaties require governments to progressively realise human rights and make use of the maximum available resources to do so. They prohibit the use of retrogressive measures and spell out the implications of non-discrimination and equality – principles that lie at the heart of the UDHR – in the socio-economic realm. At the beginning of each chapter the authors set out the particular human right according to which they will assess a specific policy tool. After providing some details about the obligations arising from the UDHR and the different treaties, they look at actual policy conduct over the past three decades and show how, more often than not, economic and social rights have been violated in both countries. In an ambitious endeavour the book thus provides an immanent critique of a system built on the assumption that economic growth, regardless of its immediate distributional consequences, will ultimately benefit all and contribute to the realisation of human rights. The authors show that neoliberal economic policy has not only failed – providing weak growth and numerous crises – but also stands at odds with the implementation of economic and social rights. All states that are party to the UDHR, including Mexico and the USA, have an obligation to implement these. Even if you oppose the underlying premises of such a system, be it the faith in human rights or the quest for growth, the appeal of this book is that it should convince even the last human rights-supporting neoliberal to change his mind (hopefully about his stance on economic policy and not human rights). As such it offers potential for broad mobilisation and change. Typically in these situations mainstream neoclassical economists are quick to refer to the theorems of welfare economics, which suggest that competitive markets lead to efficient outcomes, and any allocation can be obtained from these through lump-sum taxation (a type of tax, which, by the way, barely exists in the real world). The implication seems to be that production and distribution can be separated. As a consequence, economists should only be concerned with maximising efficiency, while politicians will take care of redistribution. Such parochial thinking clearly ignores the fact that those favoured by a particular growth strategy usually successfully resist redistribution. As Balakrishnan and Elson put it: “The way in which the pie is produced constrains the way in which it can be sliced”. Ethical concerns need to be reintroduced to economics, and this book is a good example of how this could be done. Perhaps a surprising decision—as Mexico is more often compared to other Latin American and the USA to other OECD countries—the comparison of the two countries is interesting for a number of reasons. Similar in size, linked by geography, migration and trade, as well as a complicated, conflictive history, they differ in a range of economic and social dimensions and their legal commitment to human rights. Such differences, as well as their increasing interdependence, have contributed to and might thus explain some of the differences in performance in the realisation of human rights. By comparing a country in the Global North with one in the Global South (although surely not one at the opposite extreme), the authors also make clear that human rights issues are, of course, not restricted to so-called developing countries. At the same time, they are careful to take differences into account and do not compare both countries against the same absolute standard. Instead they often benchmark within the same country over time or with other, comparable countries. Unfortunately, such careful and nuanced case studies are rare in mainstream economics. An increasing obsession with econometric work has given rise to a derisive rejection of more descriptive-analytical research, which seeks to explain statistical evidence without straitjacketing it into a regression model. But “neoclassical economics is not the only kind of economics”, as Balakrishnan and Elson note. Works like theirs give hope to a brighter future for the dismal science. The second and, in my opinion, more important, methodological merit of the book is the development of an alternative evaluative framework for policy analysis. Despite all criticisms, the most widely used measure to judge policy performance remains GDP growth, and economists’ firm belief in its importance – its potential to reduce poverty and inequality, to bring about structural change, etc. – is unshaken. It is not clear, however, why it is regarded an end rather than a means to an overarching end. There are different ways of achieving growth and some of them may have severe side effects, potentially undermining human rights or environmental sustainability. In order to choose between different strategies, policy-makers must refer to some other end. The implementation of human rights is a relatively uncontroversial ethical objective, which would allow for a broad consensus and wide mobilisation. The formulation of a framework that postulates the realisation of human rights – not economic growth, price stability or low interest rates – as the ultimate end of economic policy hence offers a much-needed alternative to the predominant, virtually obsessive use of growth measures in policy analysis. It would be desirable, yet remains to be seen whether others will adopt this framework and apply it elsewhere. Admittedly, the human rights violations that the authors of “Economic Policy and Human Rights” reveal are not as horrific as the ones the sensationalist yellow press is concerned with on a daily basis. But, perhaps precisely for this reason, they are all the more dangerous, as they are rarely perceived as infringements, and instead often presented as the consequences of inevitable policy decisions. Balakrishnan and Elson’s book shows how we can hold governments to account instead of facing the abuse of our rights with apathy. As such, it is recommended reading for anyone committed to social and economic justice. Leoni Linek is a writer and activist based in Berlin. She studied development economics at the University of Oxford.